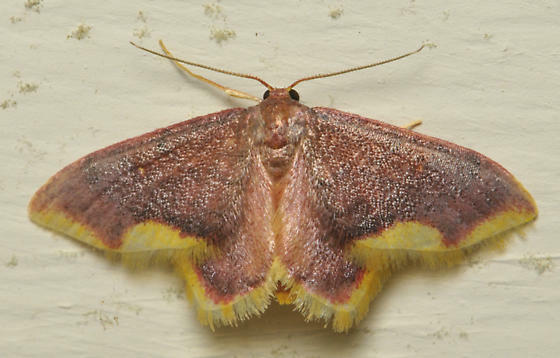 This was a dark purple moth. His entire outer border was yellow except at one point where the purple dipped down and touched it. He had thick yellow fringe.